The Important Modern and Vintage Timepieces auction hosted by Antiquorum on the 11th of March, included some superb timepieces. 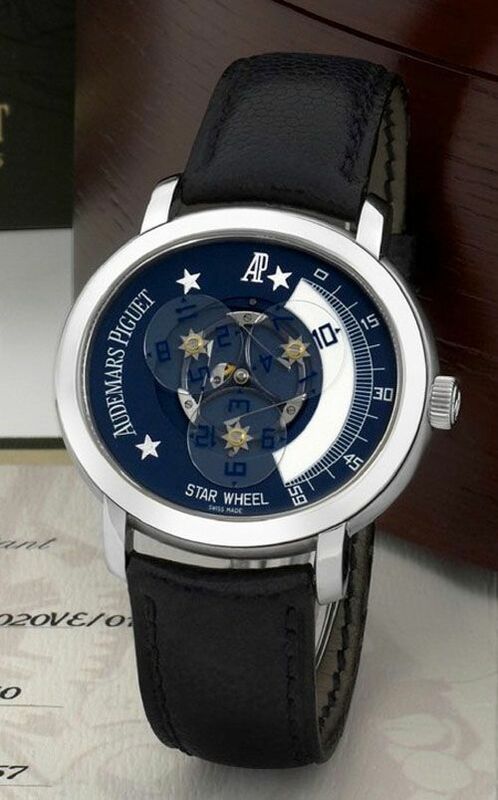 Not only did I see some very interesting Royal Oak A and B series fetching quite high bids, I also noticed this Star Wheel 125th Anniversary piece from Audemars Piguet. 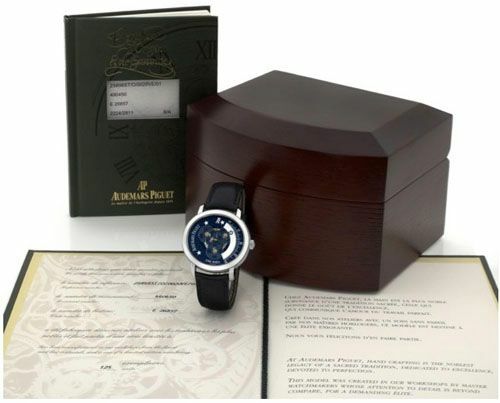 This stainless steel timepiece was made by AP to celebrate their 125th anniversary in 2000 and has been – of course – restricted to 125 pieces only. This watch was part of the Millenary family of AP, and wears very well on the wrist due to the dimensions of 41 x 37 mm. Movement is caliber AP 2224 and is the genius behind the complex sapphire disc system for displaying the hours on the minutes scale on the right part of the oval dial. Despite being such a cool Audemars Piguet timepiece in only a very limited production, the price it fetched is relatively low. Just 17500 Swiss Francs for this AP Millenary Star Wheel ref. 25898 ST, complete with box and papers. For instance, the Royal Oak A-Series fetched more than double of this amount. More information can be found at www.antiquorum.com.